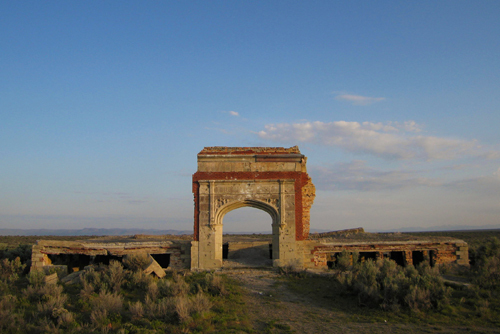 VISITING ARTIST—FUTURE SO BRIGHT is a mapping and documentation project that catalogs abandoned spaces in the American West—ghost towns, deserted military bases, and boarded-up tourist traps. It is a meditative time capsule of the false starts and failed attempts of the past 200 years of American western expansion. In cataloging these places, Portland filmmaker Matt McCormick invites examination of the disposable mentality in an era of perceived unlimited resources and opportunity, and considers the enduring power of time and nature. Also showing will be some of McCormick’s recent short films and music videos, including THE MOTION MAKES ME LAST (2006) and SATELLITES (2008). VISITING ARTIST—Haaken (QUEENS OF HEARTS: COMMUNITY THERAPISTS IN DRAG), a professor of psychology at Portland State University, returns to the Salem State Hospital, the location of ONE FLEW OVER THE CUCKOO’S NEST, and recounts the stories of real patients who live in this famous hospital for the criminally insane. As patients and staff try to make sense of each juncture in the road, from getting arrested and surviving the wards to reentering the community, the stories tell a larger tale of broken lives and raggedy safety nets, and reveal the craziness of an American system where you have to commit a crime to get psychiatric help. The film movingly portrays the deeply human dilemmas behind media images of the criminally insane, and probes the consequences of the American medical management of madness. VISITING ARTIST—Based on six years of intensive research on solutions to man-made global warming, Portland filmmaker Matt Briggs’ DEEP GREEN cuts through the clutter to bring new clarity to an increasingly urgent situation. Traveling the globe unearthing the best applications in energy efficiency, green building, low-carbon transportation, sustainable agriculture, forest restoration, renewable energy and smart grids, Briggs finds many promising ideas. Some are profoundly personal and practical—like what one person can do to lower the carbon load at home—others complex endeavors such as Southern California Edison’s quest to find the best batteries to electrify transportation. From France, Sweden and Germany to China, where the flourishing green industry has, as a percentage of its GDP, surpassed the US in green technology, the world is at work to find green solutions to one of the 21st century’s most important challenges. 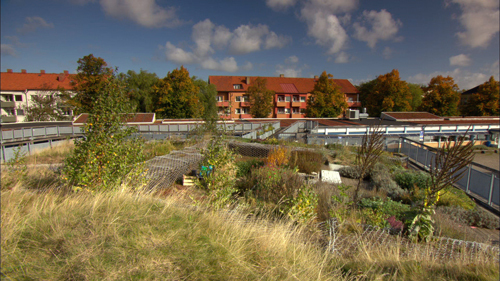 Shows with: TREES (2010) and THE KRILL IS GONE (2010), two ecologically-minded, animated short films by Portland’s Bent Image Lab. With support from the Northwest Earth Institute. 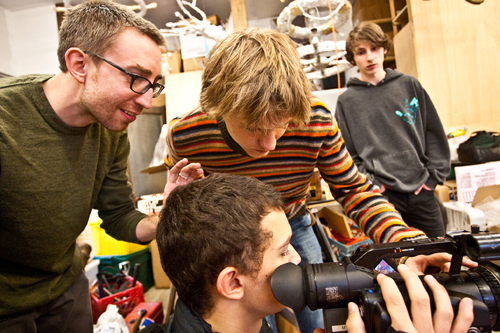 VISITING ARTISTS—This spring the Young Filmmakers Program partnered with Metropolitan Learning Center students to produce a series of documentary vignettes that provide a current look at contemporary artists living and making art in Portland. The result is 10 portraits of individuals working in various mediums, from fashion to painting to conceptual art. Led by filmmaker Andy Blubaugh, subjects include fashion designer Adam Arnold, sculptor/media artist Evertt Biedler, sculptor/conceptual artist Bruce Conkle, actor/dancer Carlos Alexis Cruz, illustrator/graphic novelist Daniel Duford, painter Tamara English, multidisciplinary artist Abraham Ingle, conceptual/multidisciplinary artist Mack McFarland, painter Lorna Nakell, and photographer Ann Ploeger. Student filmmakers and artists in attendance. Audience Q & A and reception will follow screening. Thank you to the Regional Arts & Culture Council for making this project possible. The Northwest Film Center throws open the doors of the Whitsell Auditorium and invites you to show your new short work. If you have something you’re proud of, sign up by contacting Thomas Phillipson by July 8 at thomas@nwfilm.org. First come, first served as time allows—preference given to films under ten minutes. VISITING ARTIST—Fifteen singers, two countries, and the music of Mozart. The stage was set for an incredible collaboration between two music schools: The Louisville School of Music in Kentucky and The Szymanowski Academy of Music in Katowice, Poland. The music of Wolfgang Amadeus Mozart’s comic opera “The Marriage of Figaro” would be the language to unite both casts. Schaefer followed the development of the production over a three-month period, capturing not only the rigorous schedule of its performers, but behind-the-scenes glimpses of everyone responsible for bringing the house to its feet. Community support provided by Portland Opera. 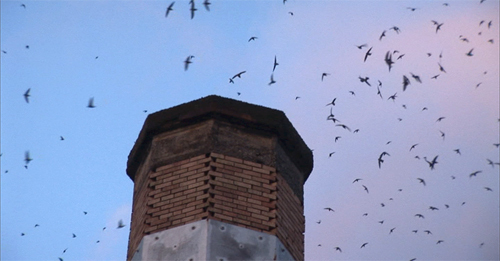 VISITING ARTIST—The largest known swift roost in the world–over 30,000 birds–is in a school chimney and can be witnessed each September in Portland. Those in the know have wandered into this quiet neighborhood for years to spread a picnic blanket on the school’s lawn and enjoy an enchanting evening of avian acrobatics. “This documentary about the celebrated semi-annual appearance of the speedy little birdies called Vaux’s swifts at Northwest Portland’s Chapman Elementary School is a lively and colorful tapestry of human and avian life, and a great advertisement for the many things that help keep Portland weird.”—Shawn Levy, The Oregonian. With support from the Audubon Society of Portland. VISITING ARTIST—FROM CHEYENNE TO PENDLETON chronicles the lives of Idaho’s Bonnie McCarroll, Colorado’s Bertha Blanchett, and Washington’s Mabel Strickland, and the history of the rodeo from its earliest beginnings. From the day that Bertha Blanchett arrived in Cheyenne, Wyoming, for the 8th Annual Frontier Days Rodeo in 1904—the first year women were allowed to compete in the bucking bronc competition—to the tragic and avoidable death of Bonnie McCarroll at the 1929 Pendleton Round-Up, the women’s Northwest rodeo circuit was a wild ride. 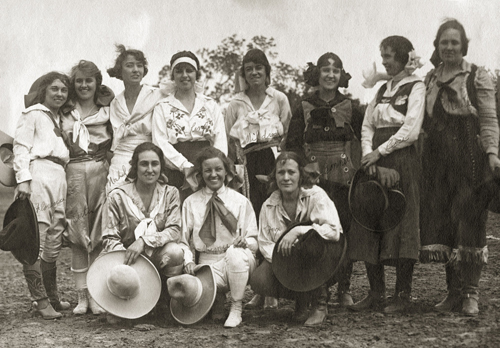 In the early years, cowgirls made a significant impression on the American public as they rode the wave of equality and freedom throughout the progressive era. But larger cultural and societal changes removed women from the rodeo in favor of the cowboy. Bend filmmaker Wursta casts a new light on the history of women riders and their eventual expulsion from the rodeo arena, along the way exploring how the Wild West shaped the lives of cowgirls and cowboys alike.